Midseason bloomer. Aster (Sunflower) family. 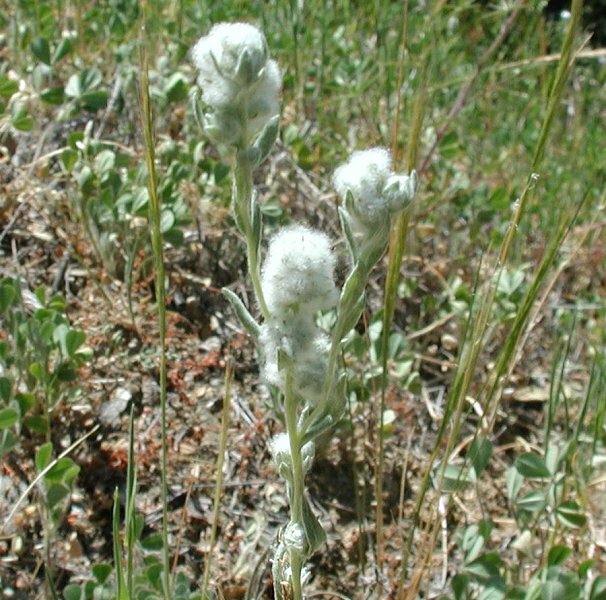 Low growing plant with grayish fuzzy flowers in heads. Flowers look like tips of cotton swabs. Tends to grow in masses.